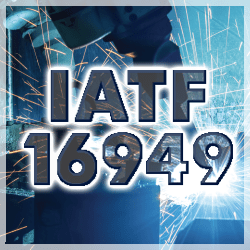 Lewis Spring is finally officially IATF 16949:2016 certified. Check out our new certificate link at the bottom right! We're looking forward to serving the world with automotive qaulity springs and wire related products for several more years. A huge congratulations and thank you to our quality and engineering teams for their long hours and success getting through our transition!